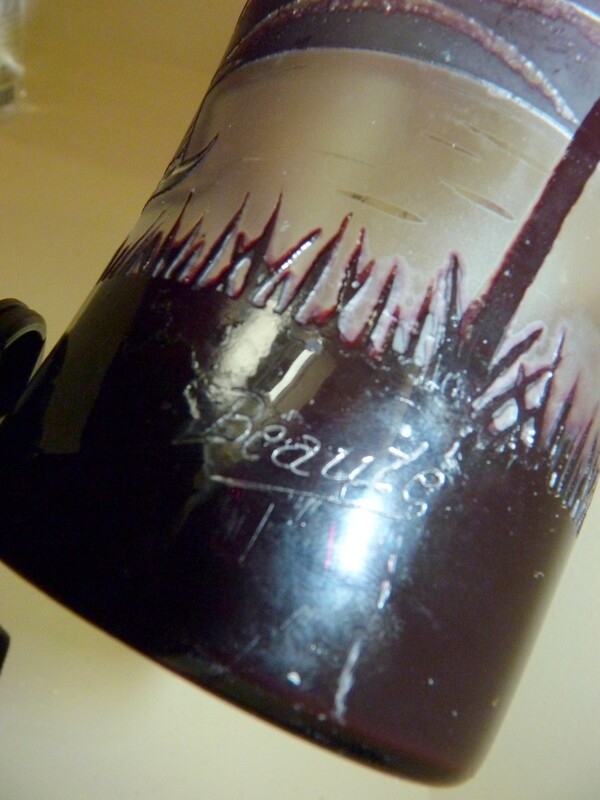 ﻿ TheGildedCurio.com -- Kralik Cameo glass vase / lamp base with palm trees. 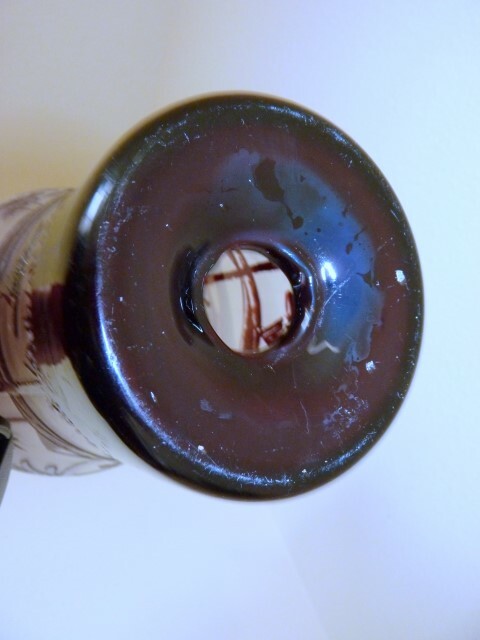 fire polished hole in base. 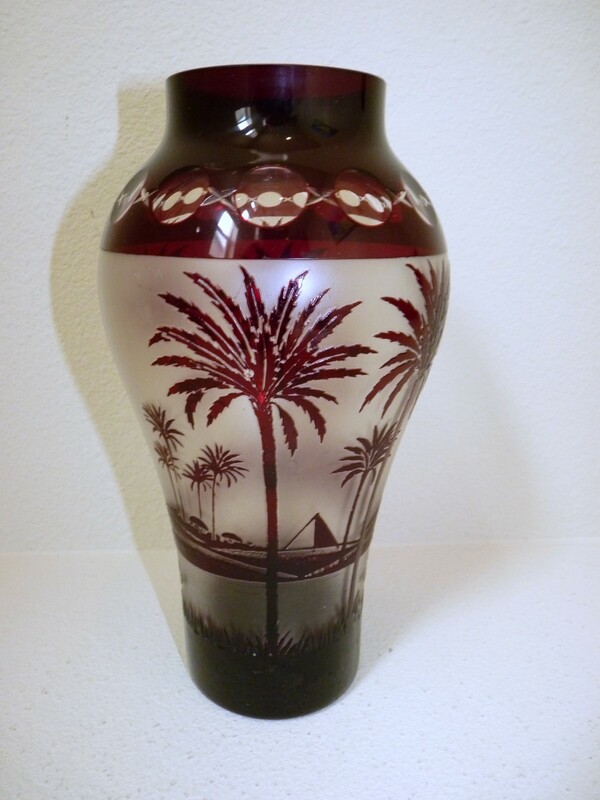 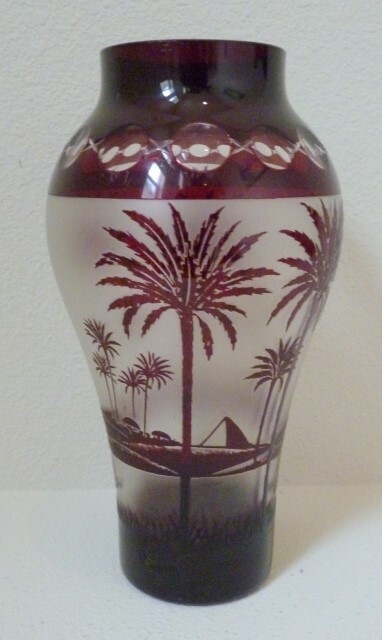 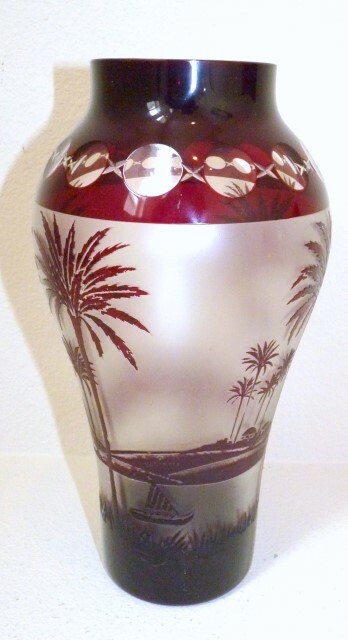 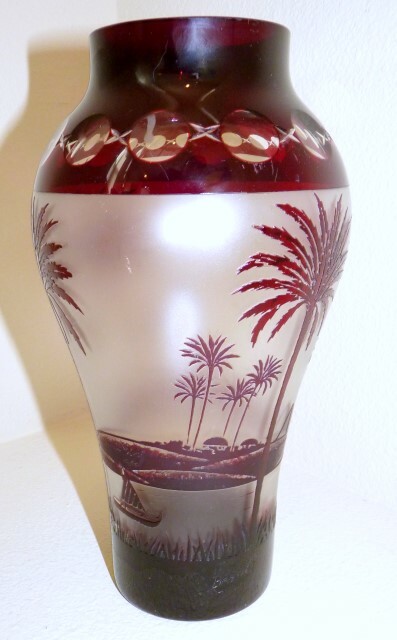 850 -- Kralik Cameo glass vase / lamp base with palm trees. fire polished hole in base.